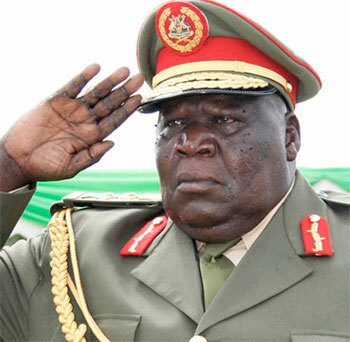 KAMPALA – General Moses Ali has told off legislators in the 10th Parliament to concentrate on their legislative duties and leave issues of sanctioning controversial Ugandan ambassador to Burundi, H.E Matayo Kyaligonza from duty, saying these are issues of generals and it will be the same generals to sort out the matter. The First Deputy Prime Minister’s remarks were in response to concern raised by Mr. Roland Mugume (Rukungiri Municipality) who asked Parliament to deal with the embattled General after he slammed Parliament for taking a resolution to recall him from duty after he was allegedly caught on camera slapping a female traffic officer in Seeta, Mukono recently. Deputy Speaker, Jacob Oulanyah cautioned Mr. Mugume that as much as he had accused Mr. Kyaligonza of contempt of Parliament, it is different from disrespect of Parliament because if someone decides to abuse Parliament, that doesn’t amount to contempt of Parliament. “Some of the things don’t define what we are. We know what we are, what we do. If somebody called me a fool, I would look at them and smile. I wouldn’t take it beyond that,” Mr. Oulanayh said. However, Mr. Jonathan Odur wondered if it wasn’t about time to have all bush war Generals undergo counselling to help them recover from their bushy mentality, arguing Kyaligonza’s behaviour isn’t unique from other bush war members.